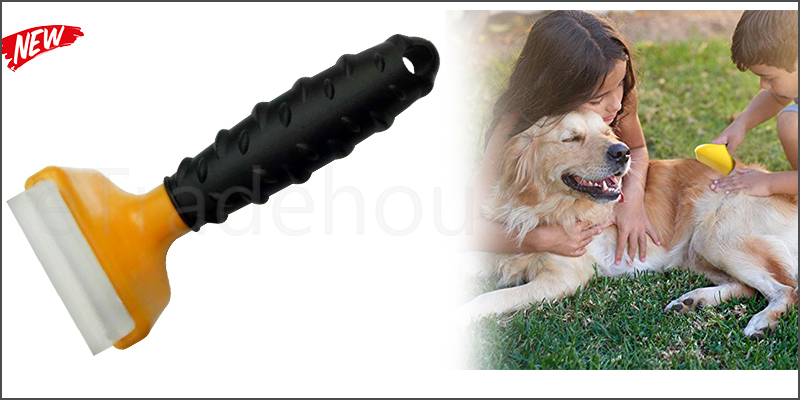 Professional Pet Dog Cat Hair Fur Shedding Trimmer Grooming Rake Comb Brush Tool. Actual hair removed with a single shed-less treatment. For long & short haired dogs & cats. Non-slip handle convex design, more comfortable to use, excellent hand felt. For even better results, use de-shedding shampoo and de-shedding solution with this tool. Material: Stainless Steel + Thermoplastic Rubber. Suggestion: 1-2 times a week and each time 10 to 20 minutes at a time. Professional Pet Dog Cat hair for shedding grooming comb brush.